On Tuesday January 24th, the first Oxford SU access conference was held at Mansfield College. 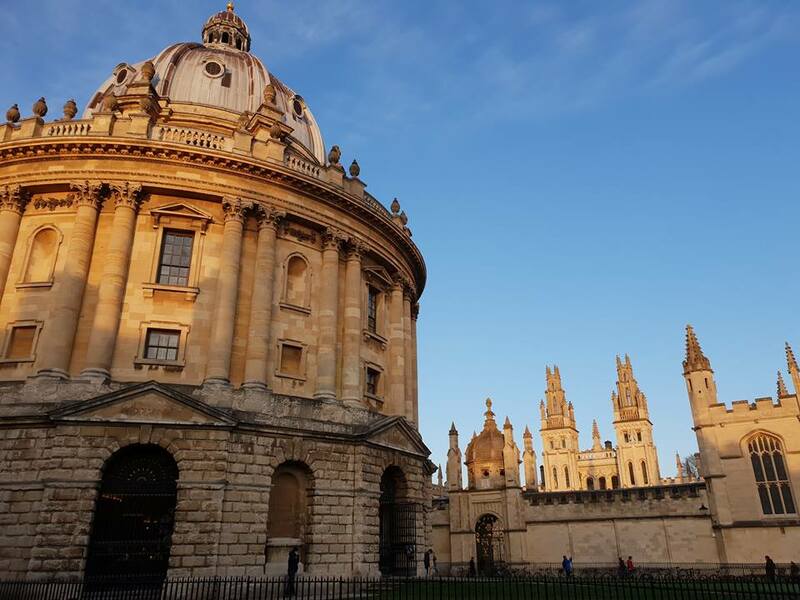 The aim of the Access Conference was to ask what Oxford should aim towards in the next five years, considering the role of the Oxford in the context of national targets to reduce inequality in universities. Mansfield was a fitting host for a conference about access, with 96% of their 2019 offers going to state-schooled pupils, according to the welcome speech of their Principal Helen Mountfield QC. The panel consisted of Chris Millward, the Director for Fair Access and Participation of the Universities’ national regulator (OFS) as well as Oxford SU’s VP Access and Academic Affairs, the University’s Admissions Officer Samina Khan, NUS’ Black Students Officer and some students from LMH and St Hilda’s. The overarching theme of the conference was that of a need for equality of opportunity for school children of all backgrounds; there is an attainment gap across socio-economic classes that OFS wants to eliminate. One method suggested by Chris Millward by which this goal could be realised was reaching children earlier on in the school system and opening the door for them to consider applying to Oxford and Cambridge. Currently, most university access work is focussed predominantly on year 12 pupils. Samina Khan even went so far as to suggest that working with mothers and preschools may be essential for helping students of all backgrounds realise that Oxbridge could be a place they could see themselves attending, with “year 7 being a transition period where bright students are lost”. She says that a lack of confidence building at school may have a ripple effect on students, and by the time they come to apply to university, they don’t feel good enough for Oxbridge. Oxford wants to work more with teachers too, to combat this shocking statistic: 43% of teachers would not want to recommend Oxbridge to their students. The UNIQ summer school was discussed as an example of how Oxford uses their access budget to persuade school students to apply: nearly 60% of all UNIQ students end up applying, a better rate than many independent schools, stated Saminah Khan. She went on to explain that UNIQ had reached the point where it was less likely to get accepted onto the summer school than into Oxford itself, which is why places have recently been expanded to 1300. The students on the panel raised the issue of ethnicity in terms of college numbers, with some colleges admitting very few black students, sometimes only one or two per cohort. The ‘Humans of Oxford University’ Instagram page was mentioned and praised during this discussion, as it showcases Oxford students of all ethnicities and backgrounds, and shows the reader that they, whoever they are, are welcome at Oxford. The disjointedness between the access efforts of the colleges and the university as a whole was also criticised by the students. They claimed that Oxford presents all colleges as an equal experience, and while all colleges are loved in their own way, that doesn’t mean that students couldn’t receive far more financial support at some colleges above others. St John’s, for example, offers £325 a year to every student for buying “academic” equipment, which can include laptops and iPads. Other colleges can barely offer a fraction of this to their students, which the panel thought either needed to be properly advertised to applicants, or equalised in some way. One student spoke about her internal conflicts when talking to potential applicants when they come to open days; she says she wishes she could tell them that they may be supported more at other colleges, but she doesn’t want to discourage them from applying in any way. Another student had the same experience, except in terms of being honest with applicants about how many people they will be surrounded by who look like them – she didn’t want the truth of our diversity, or lack thereof, to put POC applicants off. Oxford’s ultimate aim is to achieve equality of opportunity for all, and close the ethnicity attainment gap by 2030 at the latest. One of the ways they say they want to achieve this is by selecting students for their potential, not just their A-level results. Many students may miss the grades they need to get in, but if the university were to contextualise offers based on the personal life of the student and use other factors to determine if they could thrive in the work-heavy environment of Oxford, they may be offered a place anyway. LMH has recently introduced a foundation year, which does just this, letting students in contextually. One of the students had previously been on the foundation year; he shared that he couldn’t achieve the grades he needed to get in to 1st year due to being the financial provider for his family, but the college saw his potential. LMH is the only college currently offering a foundation year, but there are currently discussions being had about other colleges also joining in. The final discussion was on disability access, and the fact that many colleges aren’t accessible for people in wheelchairs. Mansfield Principal Helen Mountfield assured the panel and the audience that all the colleges were being audited on disabled access, and that all were doing their best to improve. Overall, the message of the conference was one of positive change for Oxford in the next couple of years, despite the numerous gaping areas of improvement being needed. Let’s hope the university follows through on its promises, and does all it can to achieve equality of opportunity.